This series still looks like a mishmash of ideas — there’s no way the tech on display here predates Kirk by a 10 years, especially since we’ve already seen ships and uniforms from that period (I’m looking at you, Captain Pike and Mr. Spock!) — but it shows some promise, so I’m willing to give it a chance. With a Sept. 24 launch date on CBS’s brand new CBS All Acess streaming service, the Tiffany Network doesn’t have a lot of time to create awareness of this series and its platform. The premiere episode will debut on television, but subsequent installments will be online only. CBS better start revealing information soon if it wants this iteration of Star Trek to live long and prosper. 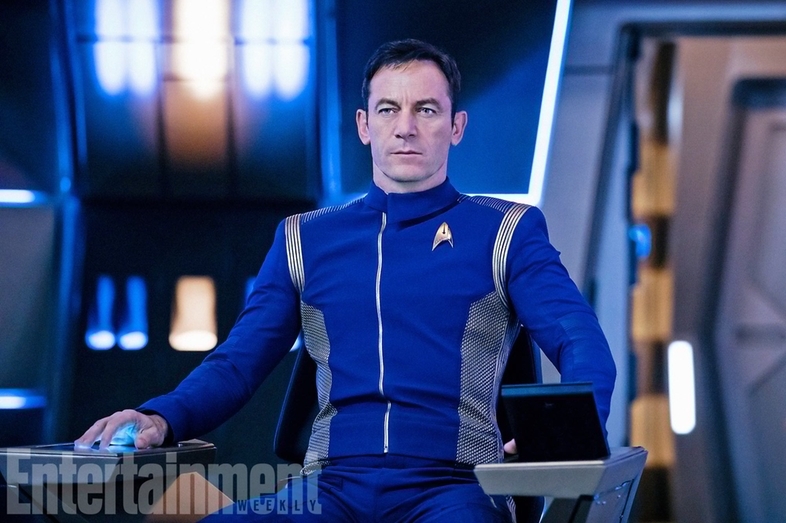 This entry was posted in Science Fiction, Streaming series, TV, Video clip and tagged Captain Lorca, Jason Isaacs, Michelle Yeoh, Sonequa Martin-Green, Star Trek, Star Trek: Discovery. Bookmark the permalink.